Climate change negotiators agree to meet again next year in Durban. And that’s pretty much all they agree on. The United Nations climate change conference in Cancun is being hailed by many news outlets and environmental activists as a “breakthrough.” For example, the liberal magazine, Mother Jonesheadlined it as “Cancun Climate Breakthrough;” Canada’s Globe and Mail declared, “Global accord on climate change hailed as breakthrough;” and National Journal asserted, “Breakthrough Made in U.N. Climate Talks.” Breakthrough is generally taken to mean an activity that is characterized by major progress in overcoming some obstacle. Are the Cancun Agreements really a breakthrough when it comes to addressing the issue of man-made global warming? Not so much. Going into the conference, developing countries and environmental activists argued that it would be a success if agreement was achieved on three issues. First, developed countries would commit to continuing the Kyoto Protocol after 2012. Second, a legally binding process would be launched that ends up with rich countries agreeing to reduce their carbon dioxide emissions somewhere in the realm of 40 percent by 2020. And third, a global climate change fund would be established under the auspices of the U.N. to distribute $100 billion annually in climate change aid to poor countries. Despite the positive spin [PDF] coming out of Cancun, real agreements were achieved on none of these goals. Let’s start with the future of the Kyoto Protocol [PDF]. Under the Kyoto Protocol rich countries agreed in 1997 to reduce their emissions of greenhouse gases, chiefly carbon dioxide, by an average of 5 percent below their 1990 levels by 2012. The United States never ratified the treaty. At the Cancun conference, the developing countries insisted that rich countries agree to continue and increase their commitments to reduce their greenhouse gas emissions past the 2012 end of the Kyoto Protocol. Poor countries actually wanted the rich countries to commit to more than Kyoto—they lobbied for cuts of 25 to 40 percent below their 1990 emissions levels. They didn’t get that commitment. In fact, the negotiators merely agreed that the Conference of the Parties “shall aim to complete its work” [PDF] on extending the Kyoto Protocol with the goal of having “its results adopted by the Conference of the Parties…as early as possible and in time to ensure that there is no gap between the first and second commitment periods.” The operative phrase is “shall aim.” It is clear that the rich countries did not agree to continue the Kyoto Protocol; they agreed to continue talking about continuing the Kyoto Protocol. It is also worth noting that both Russia and Japan flatly stated that they were dropping out of the Kyoto Protocol after 2012. What about legally binding emissions reductions commitments by the rich countries? As the Copenhagen climate change conference came to its chaotic end last year, the U.S., China, India, South Africa, and Brazil hastily put together the face-saving Copenhagen Accord. Under the Accord both rich and poor countries could make voluntary pledges to cut their greenhouse gas emissions and engage in other activities with the aim of mitigating future man-made climate change. The Accord had no official status under the United Nations climate negotiation process. The Cancun Agreements now take note of the emissions reduction targets promised under the Copenhagen Accord, but the crucial point is that the pledges remain voluntary, they are not legally binding. The spin coming out of Cancun is that these pledges now have official status under the U.N. negotiations process, so that they can form the basis for future legally binding commitments. In plain fact, developed and developing countries not are legally bound to do anything about their emissions under the Cancun Agreements. 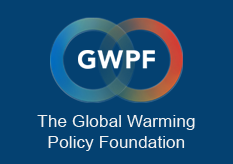 As for getting industrialized countries to cut their greenhouse gas emissions by as much as 40 percent by 2020, the agreements note that the conference “recognizes that deep cuts in global greenhouse gas emissions are required according to science.” As a consequence, the agreements suggest “that Parties should take urgent action to meet” the long-term goal of “reducing global greenhouse gas emissions so as to hold the increase in global average temperature below 2°C above pre-industrial levels.” Note that this amounts to merely a suggestion that action be taken; there is nothing legally binding here either. At the conference, it was obvious that the developing countries were mostly eager to use concerns about climate change as way to shake down rich countries for billions in climate reparations. In Cancun, the conference of parties officially “decides to establish a Green Climate Fund.” But what does this decision amount to? At least initially, not much. Under the Cancun Agreements, the Green Climate Fund will be designed by a Transitional Committee which will submit its proposals for approval at the next climate change meeting. Keep in mind that this doesn’t mean that the structure of the Green Climate Fund will actually be approved at that time. The agreements also “recognize” that the rich countries “commit…to a goal of mobilizing jointly $100 billion per year by 2020 to address the needs of developing countries.” Two nice weasel words here: goal and mobilizing. It is obvious that committing to a goal is not the same as reaching that goal. Cognizant of the vagueness of the term “mobilizing,” developing country negotiators in Cancun wanted their money upfront and so kept pushing for climate aid to be publicly financed and provided as grants on a government to government basis. They fear that accounting tricks will be substituted for hard cash. And 10 years is a very long time when it comes to keeping diplomatic promises. At the close of the conference, Christiana Figueres, the U.N.’s top climate official, declared, “Cancun has done its job. The beacon of hope has been reignited and faith in the multilateral climate change process to deliver results has been restored.” Figueres is clearly exaggerating what was accomplished in Mexico, but the Cancun Agreements did achieve one “breakthrough”: they resuscitated the multilateral climate change process, enabling United Nations bureaucrats, representatives from non-governmental activist groups, and environmental officials from 194 countries to justify gathering again for the 17th time next year in Durban, South Africa.